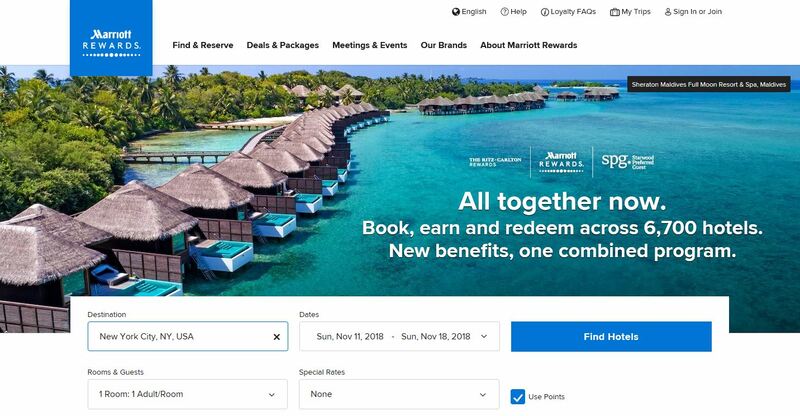 Marriott Travel Packages have been around for a while, but the recent merger with Starwood now enables a new opportunity to move points to Marriott direct from American Express Membership Rewards cards. The packages potentially remain a good deal for those who can acquire a chunky Marriott Rewards points balance, but with some caveats. 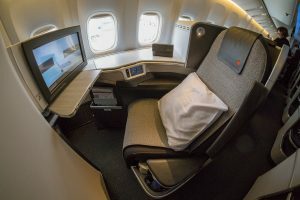 In the case of Amex Membership Rewards, 330,000 points can be leveraged into a 7-night Marriott hotel redemption and 100,000 points/miles with programs that you cannot otherwise get direct access to through Membership Rewards, like AAdvantage, British Airways Avios, and Korean Air SKYPASS. Thanks to the merger of SPG and Marriott Rewards, a new way to redeem your American Express Membership Rewards has opened up. Membership Rewards points can be earned on a number of cards including the Platinum Edge and Platinum Charge Card, and then transferred to Marriott at a rate of 1 Membership Rewards point = 1 Marriott point. You can learn how to link your Membership Rewards account to your Marriott account here. 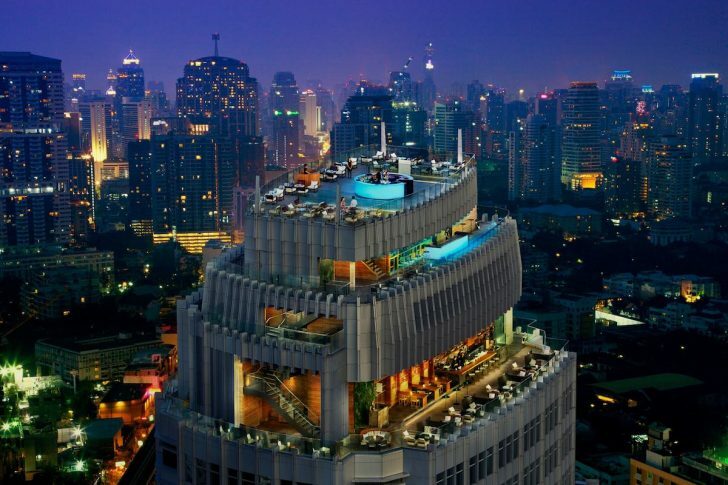 What’s the seven night accommodation certificate for 330,000 Marriott Rewards points all about? If going for this redemption option, you’ll receive a certificate for seven nights accommodation at a Marriott Category 1-4 property. 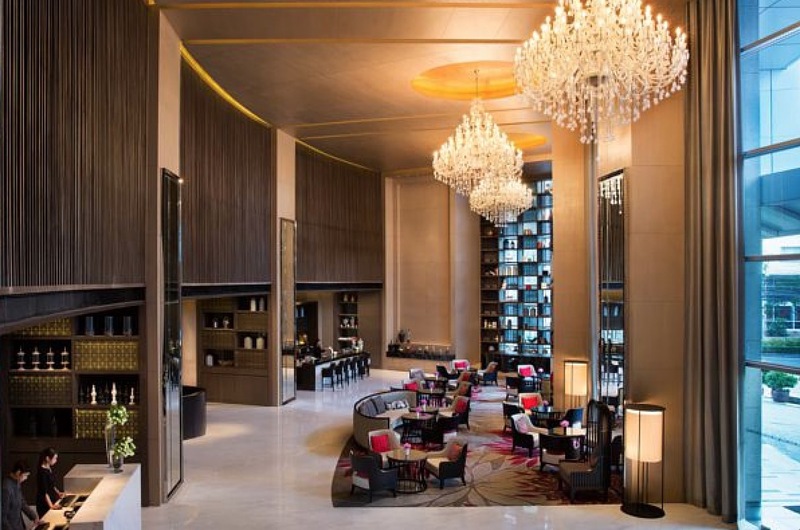 Seven nights hotel at a Marriott property around the world is fairly self explanatory – with the caveat that it needs to be a category 1 to 4 property. The sweetener is the bonus airline points/miles, particularly with programs like AAdvantage and Alaska Airlines Mileage Plan. Marriott does not have a limit on the number of Hotel + Air packages you can redeem, so if you had 660,000 Membership Rewards points, you could redeem for 2x seven nights certificates at a Marriott hotel Category 1-4 and a total of 200,000 points/miles – easily enough for two return Business Class flights to anywhere in Asia on any oneworld airline where redeemed with AAdvantage, for example. It is – but not quite as good as it was prior to the merger. While the transfer rates from Membership Rewards have improved, the cost of the travel packages has increased, and the number of points/miles awarded has decreased. That isn’t to say that you can’t find good value out of the packages, and the 7-nights of accommodation certainly helps if used at a property that typically has a high average revenue room rate. Redemptions to Asia with AAdvantage or Mileage Plan remain a sweep spot. For the sake of this guide, we will assume you want to redeem a return flight with Cathay Pacific to Hong Kong from Auckland, in Business Class. So let’s compare what you can do with 330,000 Membership Rewards points. As you can see below, 330,000 points is enough to make this return redemption with Qantas, Asia Miles, AAdvantage or Mileage Plan from Auckland to Hong Kong. While an equal direct transfer to Qantas or Asia Miles will see you reap the same award with a points surplus, the AAdvantage and Mileage Plan options via Marriott also see you land a 7-night stay certificate that you can use on your trip, plus cheaper taxes and fees on the redemption. Another opportunity that this package will provide for is First Class on Korean Air to Seoul, for 80,000 SKYPASS miles one-way. Read our SKYPASS guide for the low down on why this is an aspirational redemption, with great award availability. If you haven’t signed up for a Marriott Rewards account, sign up now here. 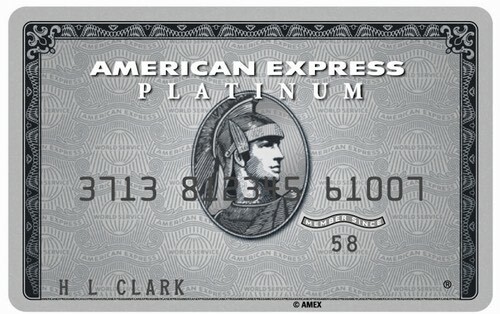 Log into your American Express account and request a transfer of 330,000 points for 330,000 Marriott points. You request the transfer online or via the telephone. If you have trouble adding your Marriott account online, call American Express. If you want to redeem more than 1 Hotel + Air package, just double that amount – and so on. American Express say that they can take up to 14 business days to transfer to Marriott, so plan ahead. 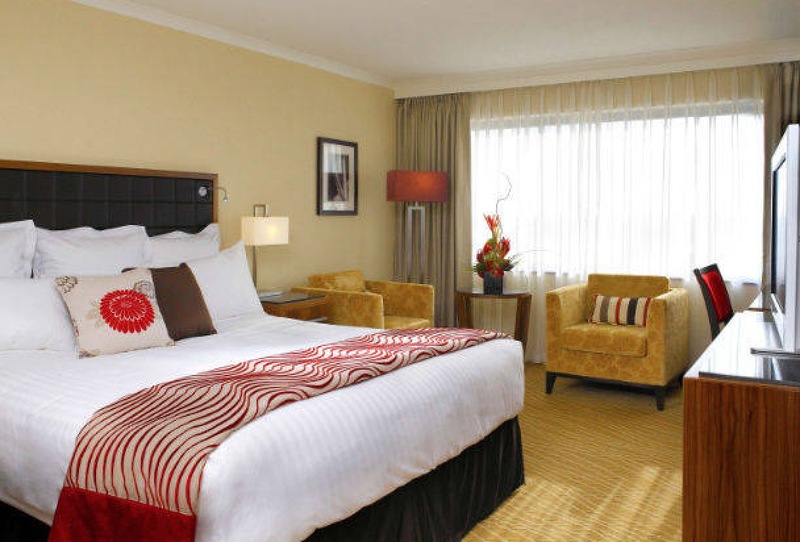 Once your points have transferred into your Marriott account, call Marriott Rewards Support in Sydney, +612 8298 5250 and inform the call centre agent you want to redeem a Hotel + Air 7 nights and 100,000 Miles Category 1-4 package. Choose who you would like to credit your points/miles to, e.g. American Airlines, and provide them your frequent flyer account number. Once the miles land in your frequent flyer account, you can redeem anytime you want. The hotel certificate will sit in your account and expires 12 months from the day of issue. You must redeem the 7 night stay between the creation of the certificate and the expiry date. Can I upgrade my category 1 to 4 certificate? It’s logical that the higher the category, the more expensive the hotel. And whilst some category 4 Marriott hotels are nice, not all of them are. And in some cities, there are only category 5, 6, or 7 hotels. But you say, my certificate is only 1-4 category hotels! While you used to be able to upgrade pre-merger, there is no longer any ability to do so. This makes it all the more important to research your destination before you pick a package. 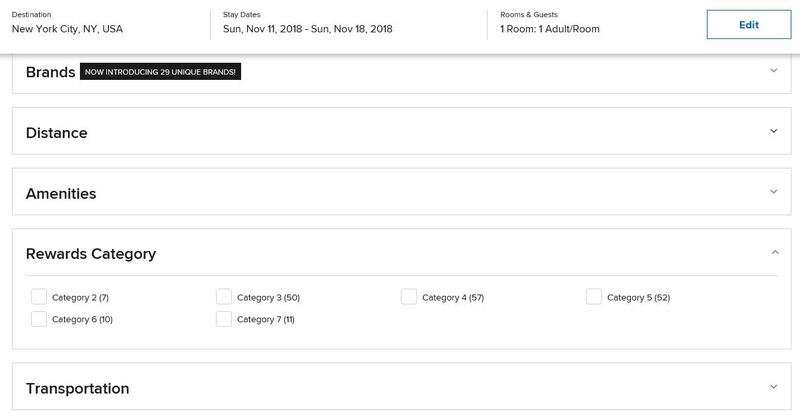 Here’s how you find out your hotel category. 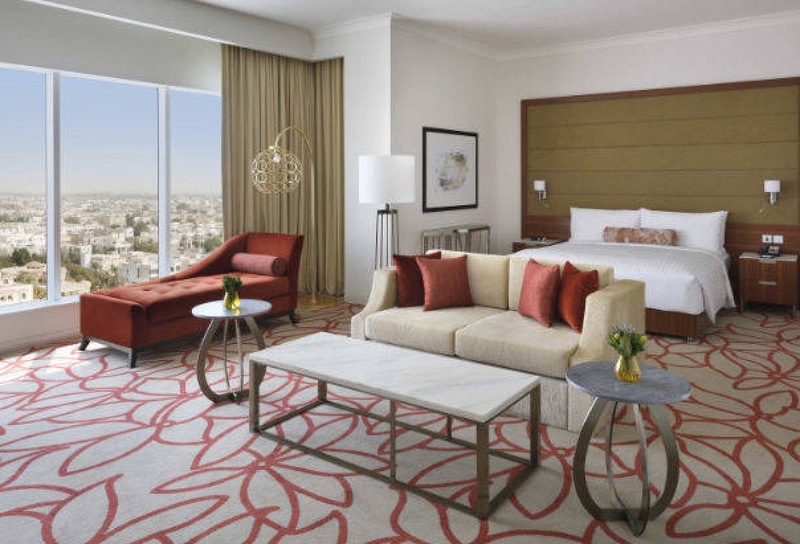 Simply use Marriott.com to search for seven nights accommodation in your desired city and tick ‘Use Points’. At the top of the page, you will see a button with the label ‘All Filters’. Click on this, and scroll down to and click on ‘Rewards Category’. A menu will drop down, where you can select different categories. Select those categories that fall within the hotel + air package that you plan to purchase, to ensure that the hotels available are those that you’d be happy to book and stay in. 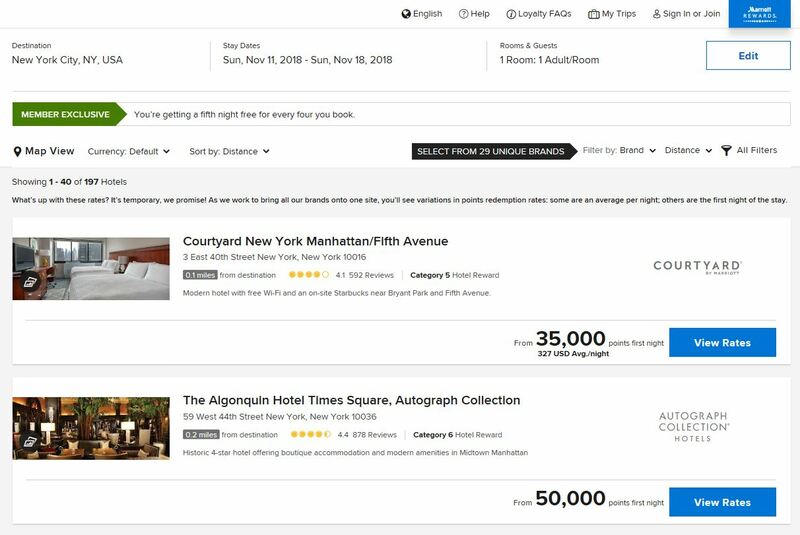 Purchasing these packages isn’t simple, and requires research and understanding of both Marriott Rewards and the varying frequent flyer programs to ensure you know what you’re getting into. 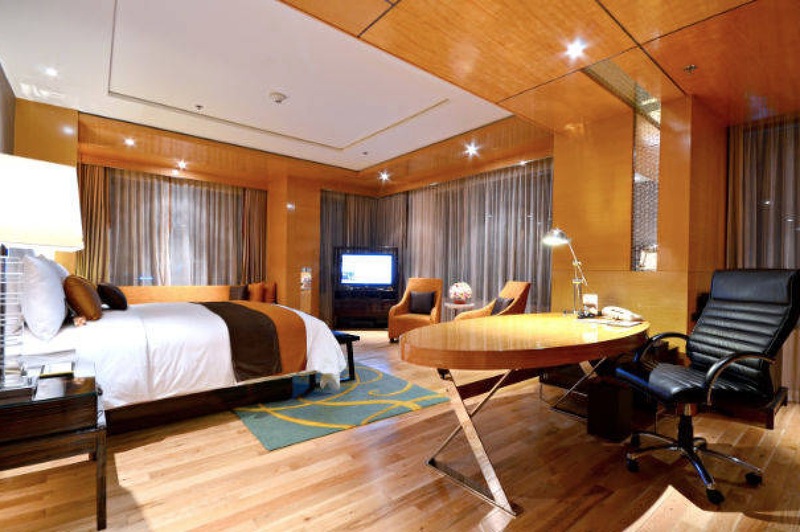 You’ll need to have an idea of how you’ll use both the Marriott 7 night certificate and the frequent flyer points / miles – or at least have an idea on what they are worth to you – before you decide to jump in. But if you do, there’s potential for some good value on offer – and it’s great that this is now more easily accessible via Amex Membership Rewards than before. Supplementary images courtesy of Marriott. Just a couple of things, the SPG to Marriott transfers aren’t instantaneous. Mine took 20 minutes to arrive. Not a biggie but just letting others know. Also the Marriott Sydney rewards office isn’t open on Sundays if you are trying to call them. Just wondering can anyone comment on what availability is like for Qantas premium awards when trying to go from Australasia to Europe? Availability is touch and go. Awards can be found with more regularity on Emirates metal as opposed to Qantas, from my experience.